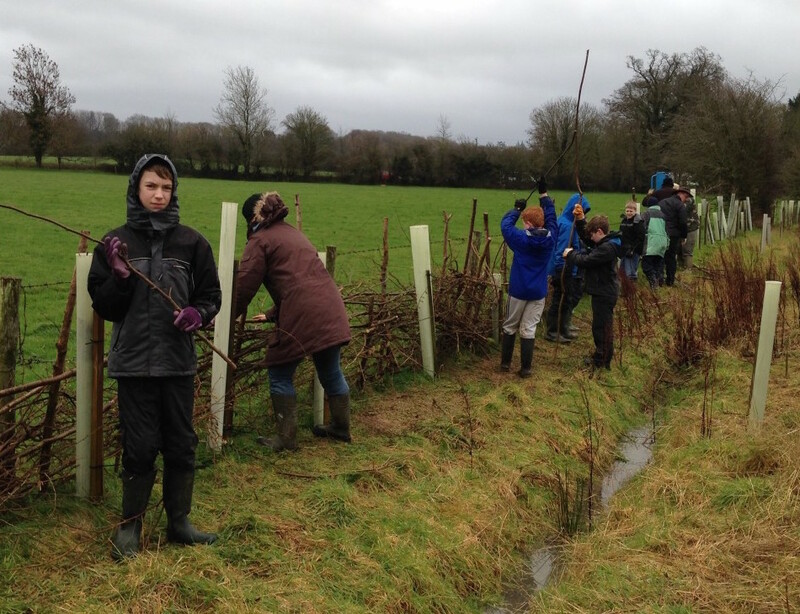 Well done to the dozen brave members and parents who turned up on Saturday for the work day in Jubilee Woods. Despite horizontal rain and gale-force winds, we managed to clear a good length of ditch, using the hazel we felled as material to build a boundary fence to try and stop the cows munching the trees. As it turned out, and despite Kaa’s intrepid claims to the contrary, there was such a thing as the wrong weather as proceedings were curtailed early because of the risk of venturing deep into the woods in such high winds. Apologies to anyone who may have turned up in the afternoon to find the site deserted. Jubilee Woods is looking good now and we hope to use it for camping trips this year – in somewhat better weather.